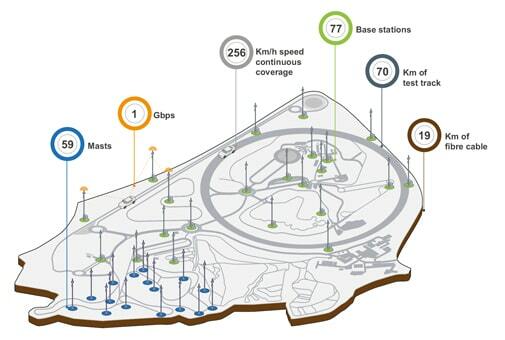 …over 70km of highly-specialised test tracks and multiple terrains. The demonstrations during the launch event used both the sub-6 GHz networks (2.3 and 3.7 GHz) and the 60 GHz mmWave network for Gigabit access to fast-moving vehicles. There were also a number of indoor demonstrations of technology that will go live on the network in the coming year. 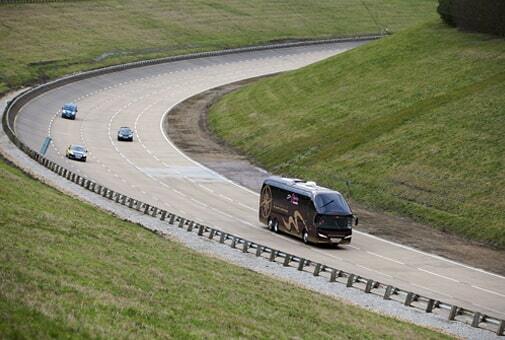 The small cell network was used to stream video from eight 4K video cameras mounted on moving vehicles to a coach, where the video was shown on screens to the guests attending the launch. The small cell base stations were developed by AutoAir lead partner, Airspan Networks.